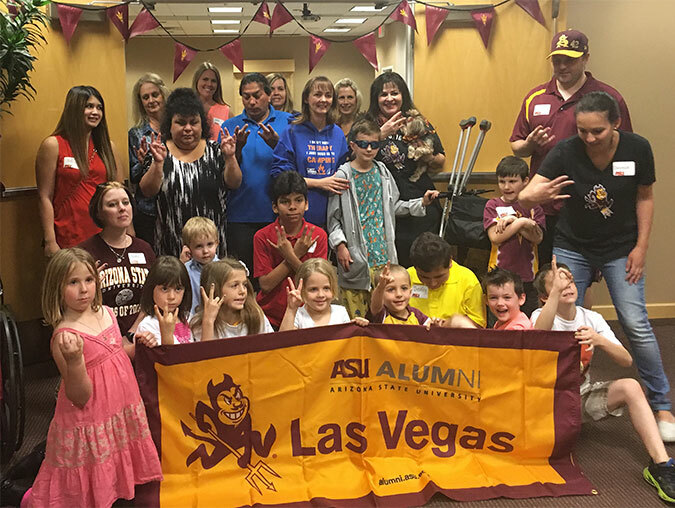 Dignity Health - St. Rose Dominican and Children's Miracle Network recently welcomed 20 Las Vegas ASU Alumni volunteers for a service project. A total of 18 patients (both current in-patients and previous patients) joined the volunteers for fun activities. The group decorated shirts, played with a pet therapy dog, and did other fun crafts. A special thank you to Freed’s Bakery for donating cupcakes for the event and to the local ASU Alumni Association for spreading humankindness to some of our littlest patients!